Yahoo!-ABC News Network | © 2015 ABC News Internet Ventures. All rights reserved. Fifty years after "Bloody Sunday," Barack Obama, the first black president of the United States, held her hand as she was pushed across the bridge in a wheelchair during a commemoration. "She was as strong, as hopeful, and as indomitable of spirit — as quintessentially American — as I'm sure she was that day 50 years ago," Obama said Wednesday in a written statement. "To honor the legacy of an American hero like Amelia Boynton requires only that we follow her example — that all of us fight to protect everyone's right to vote." In January, Boynton Robinson attended the State of the Union address as a special guest of Rep. Terri Sewell, D-Alabama, who said Boynton Robinson's 1964 run for Congress paved the way for her as Alabama's first elected black congresswoman. Boynton was the first black woman to run for Congress in the state and the first Alabama woman to run as a Democrat, according to the Encyclopedia of Alabama. Sewell said in January that Boynton refused to be intimidated and ultimately saw the impact of her work when the Voting Rights Act of 1965 was signed into law. Boynton Robinson was invited as a guest of honor to attend the signing by President Lyndon B. Johnson. 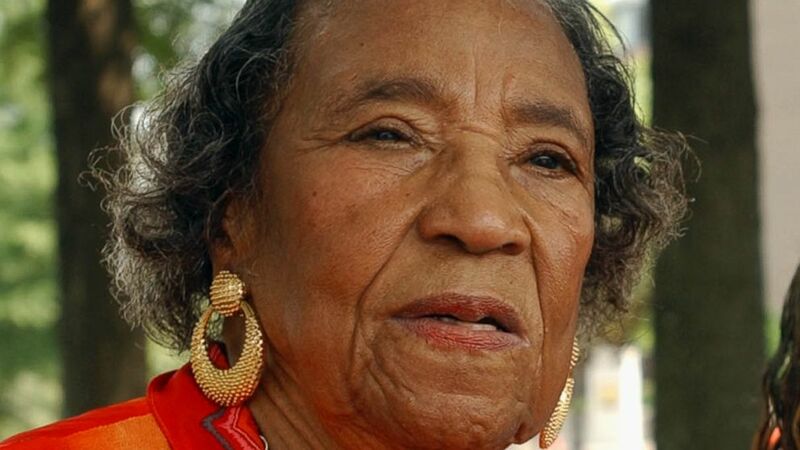 Lewis, D-Georgia, called Boynton Robinson fearless and said in a written statement that she was one of the civil rights movement's most dependable and tireless leaders. "I am so glad she lived to see Dr. King lead a march from Selma to Montgomery, that she lived to see the Voting Rights Act signed into law, that she lived to see the amazing transformation our work gave rise to in America," Lewis said. Boynton Robinson worked with the Southern Christian Leadership Conference, helped organize the Selma to Montgomery march and asked Martin Luther King Jr. to come to Selma to galvanize the local community. The Rev. C.T. Vivian worked closely with King and said he knew Boynton Robinson when she lived in Selma. Through fighting for voting rights, she and others were fighting for the right to be considered fully American at a time when black people were still being denied basic freedoms, Vivian said. "You just don't know how cruel, how non-thinking, how devilish, how hateful people could be. Just to hear this brings it all out for me," Vivian said. "It just hurts."